Your heart will tremble when you lay eyes on this magical scene where reflective water fills a place of destruction completely abandoned from human control. What makes these illustrations so heartrending is their melancholic hue: a contrast between the cold blue water and dull rotting buildings. 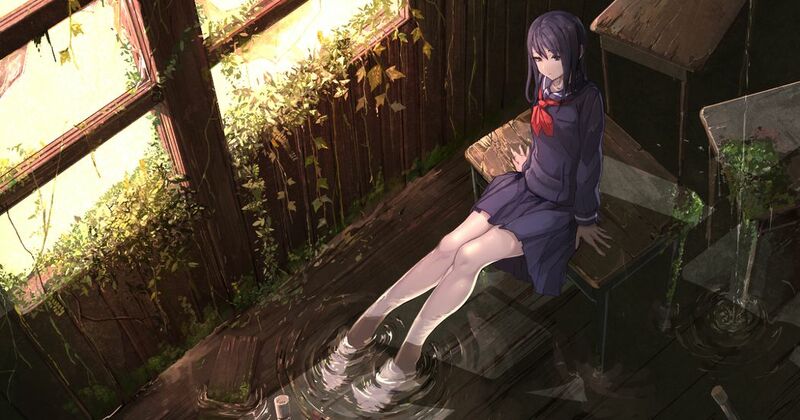 Today we are featuring illustrations of water and abandoned ruins. Enjoy!